Brzezinski to Jihadists: "Your cause is right!" The Machiavellian US Government/CIA in the late 1970's began secretly funding and training Islamic militants to fight the Russians *BEFORE they entered Afghanistan. These militants, known as the mujahideen would later become the Taliban, Al Qaeda and the Muslim Brotherhood. One of the most prominent members of he mujahideen was a wealthy son of a Saudi Arabian businessman named Osama Bin Laden. 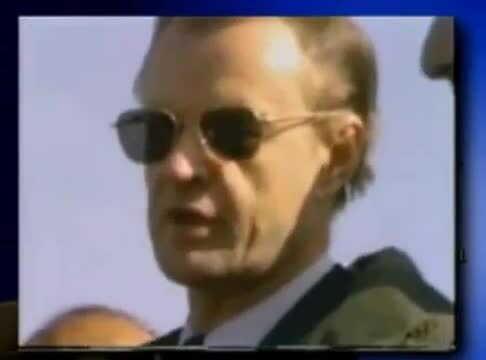 National Security Advisor & **Marxist, Zbigniew Brzezinski, visited Afganistan in 1979 and met with Bin Laden (whose CIA assigned name was "Tim Osman") and even took a picture with him, which can easily found online. The CIA trained the mujahideen in many of the terror tactics Al Qaeda is known for today, such as car bombs, assassinations, etc. ------------------------------------------------------------------------------------------------------------------------------------------ *Brzezinski nearly 20 years later revealed: "According to the official version of history [the one the US Gov puts out to its trusting citizens -ED], CIA aid to the Mujahadeen began during 1980, that is to say, AFTER the Soviet army invaded Afghanistan, 24 Dec 1979. But the reality, secretly guarded until now is completely otherwise. Indeed, it was July 3, 1979 that President Carter signed the first directive for secret aid... . And that very day, I wrote a note to the president in which I explained to him that in my opinion this aid was going to induce a Soviet military intervention." (Interview with Zbigniew Brzezinski, Le Nouvel Observateur, Paris, 15-21 Jan 1998) ------------------------------------------------------------------------------------------------------------------------------------------ **In 1973, Zbigniew Brzezinski was asked by 'Insider' David Rockefeller, to put together an organization of the top political and business leaders from around the world. The result was the Trilateral Commission, a Judeo-Masonic, elitist, worldwide organization of "concerned" corporate leaders formed under the guise of fostering international relations and encouraging the trilateral economic linkage among Japan, Europe and North America. In his book "Between Two Ages", Brzezinkski expounds his view that "Marxism represents a further vital, and creative stage in the maturing of man's universal vision. Marxism is simultaneously a victory of the external, active man over the inner, passive man, and a victory of reason over belief... ."
Zbigniew's daughter is Mika Brzezinski, who co-hosts MSNBC's weekday morning broadcast 'Morning Joe' with Joe Scarborough.